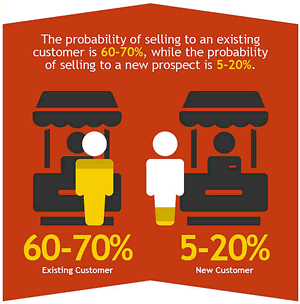 The infographic below makes interesting reading as it’s long been knows that the probability of selling to an existing customer is 60 – 70%, while the probability of selling to a new prospect is a low of 5-20%. Also, existing customers are 50% more likely to try new products and spend 31% more when compared to new customers. 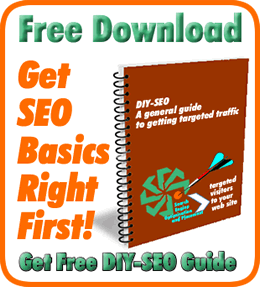 Together with the fact that it costs 5 times as much to gain a new customer! But, surprising as it is, the report confirms that 44% of companies have a greater focus on customer acquisition with only 18% focusing on retaining existing customers. But, one section stood out when I saw it as it flew in the face of logic and experience, at least, my experience! Retention and Acquisition % Figures didn’t make sense! It was the section How Marketers Are Using Online Channels For Retention Or Acquisition. I had to read it again, both in the infographic and the transcribed text on the original post from Invest Blog. When running down the list, the percentages shown for acquisition vs retention just didn’t make sense! Have a look and see for yourself. See if they make sense to you. On checking the original data from the source, shown in the infographic footer, confirmed it. The headings were on the wrong columns and in the first example Acquisition should have been 86% with Retention shown as 2%. The value of showing sources, as in this case, cannot be emphasised more as without it, it would have been nigh impossible to make the comparison. Did they make sense to you? Comment below.